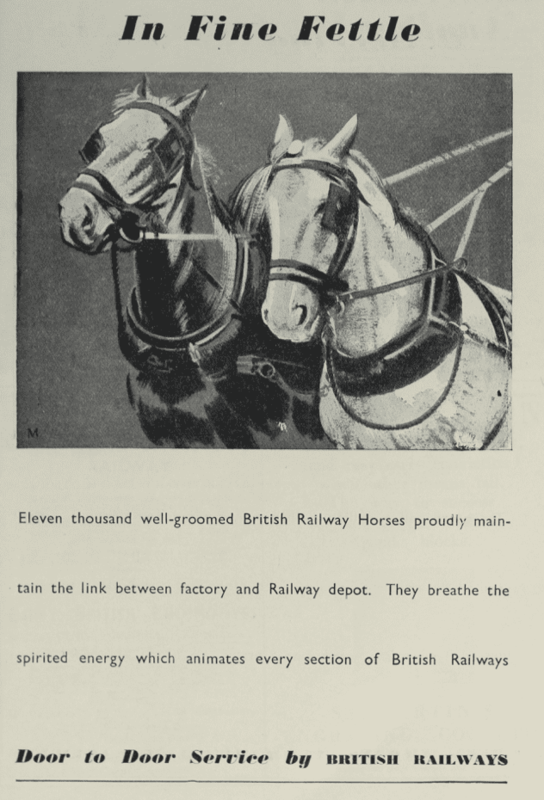 Eleven thousand well-groomed British Railway Horses proudly maintain the link between factory and Railway depot. They breathe the spirited energy which animates every section of British Railways. Door to Door Service by British Railways.